There is a lot of talk about “authenticity” these days. It’s a buzzword, if you will. And something a lot of people are preaching. But tapping into your “authentic” self when you’re writing online to an invisible audience can be really, really daunting. So how can you bring authenticity into your writing, for lack of a better word, in an authentic way? And why should you? Here, I’ll guide you with a few tips on how to bring authenticity into your writing to better connect with your readers. Everyone has a blog. And every business has a blog. Authenticity is the ability to use your voice and your personal experiences to distinguish yourself from the masses. Otherwise, you may just be another faceless blogger. If you’re looking to truly connect with your audience, and get those repeat readers/customers, then your best bet is to be authentic in your writing so you stand out a little bit. Take a minute to think about some of your favorite brands and bloggers. What do they all have in common? I bet they’ve all shared a personal story, or been vulnerable in some way that has made you feel like there’s a real-life connection to this online persona. When people feel that you’re authentic, trust you and truly start to connect, they’ll become your biggest fans. And that, my friends, is the sweet spot! One of my favorite examples of a truly authentic online persona is Carrie Green from the Female Entrepreneur Association. She has such genuine charm in the way she connects with her audience, and it’s something you can see and feel through her videos and posts. The result? She’s got thousands of members in her Members Club, myself included, who are absolutely raving fans and supportive of all the wonderful things she provides for her audience. Because of her authenticity, I’m more likely to open any email of hers that comes through my inbox, which is exactly where you want to be when there’s so much noise and competition in the online space. So now that we know how and why bringing authenticity into your writing is important, how do you go about doing it? One of the first things I teach in my free e-course on how to find your writing voice, is to use words that you would actually use in real life. Because (surprise!) nobody likes jargon. As soon as you start trickling in language that’s real, it makes your writing that much more relatable. You can write any blog post and stick to just the facts. But what if you weave in a personal story? Well, that’s one way to bring your copy to life and humanize the experience for your readers. A great area of your website copy to do this is your About page. Give people a little more than what they’d expect to see, you’d be surprised how a few extra details might make someone laugh, feel comfortable or like you’re their kind of people. Being vulnerable online can feel a lot like getting naked in front of strangers. Unless you’re totally comfortable with that, it’s pretty scary! What will people think? What will people say? Is it worse if they say nothing at all? Well rest assured, we all have those same fears. That last sentence is key: We all have the same fears. So if you’re worried about putting yourself out there, remember that someone else is or has been through the same thing. Sharing them out loud won’t alienate you, it’ll bring people together who are like-minded. And might even start fostering community! Sharing your fears fosters community, so embrace uncomfortable! Do you have a mission statement? If not, it might be time to create one! A mission statement isn’t just some corporate tool anymore, it can be the guiding force for any business. What mark do you want to leave on the world? These questions will help you uncover your mission, which is what you can use to guide you in all business efforts, including your copy. Part of my personal mission is a genuine desire to help small business owners. I spent countless hours online bouncing from resource to resource to learn everything I know today, and if I can help someone save that time and be that resource–that’s fantastic. Knowing your mission and sticking to it will also help drive you when you’re unmotivated, and will help unite your team if you’re running a bigger operation. 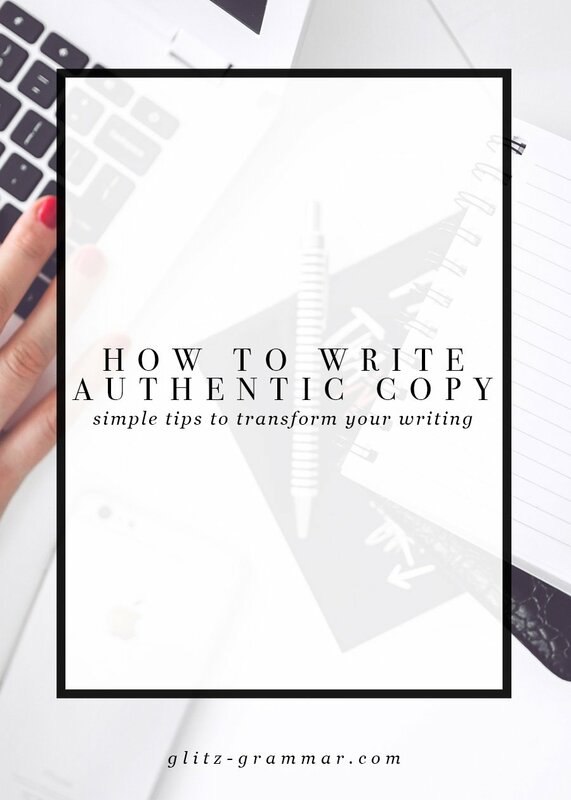 Infusing your writing with authenticity is a powerful way to connect with your readers and create loyal customers. 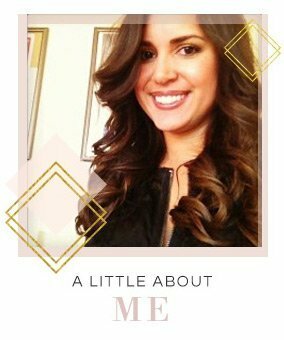 Share some personal stories and get comfortable with being yourself, you’ll be impressed with the results! WANT TO LEARN MORE ABOUT THIS? YOU MAY LIKE MY FREE MINI E-COURSE, FIND YOU WRITING VOICE. SIGN UP BELOW!